That’s the title of the folder I have on my hard drive. It’s pictures Wilfried got from his brother Franz’ computer after Franz died. Wilfried generously allowed me to copy them and they come up on my screen saver occasionally. 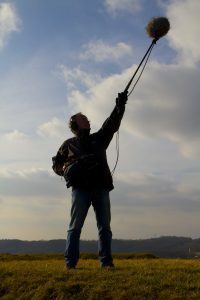 For those that don’t know, Franz was the audio recorder part of a two man team that did documentary filming in Germany. Miss you, Franz.